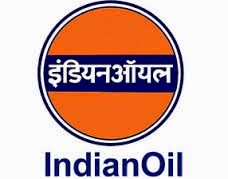 New vacancies in Indian Government: IOCL Recruiting 41 Engineering Assistants On Mar 2015. IOCL Recruiting 41 Engineering Assistants On Mar 2015. IOCL Conducting Recruitment Drive for 41 Engineering Assistants On Mar 2015. Hiring Organization : Indian Oil Corporation Of Limited. Qualification : All Interested candidates Should have completed 10th, Diploma or its equivalent qualification from a recognized university / Board. Age Limit : All candidates Age should be between 18 - 26 years as on date 01-01-2015. Age Relaxation will be given as per the government rules and regulations. Selection Process : Written test & Interview. Application Fee : For General & OBC candidates the application fee is 100/- and For (SC/ST/PH) candidates the application fee is Nill. How To Apply : All Eligible & Interested candidates may fill online application through the official website http://www.iocl.com On or Before 16-03-2015. Important date to Remember : 16-03-2015. Friends, If you like the above post, Do share it with your friends, Thanks for your response.